A lively comments section is every blogger’s dream. But what about when unwanted comments from unwelcome guests become a problem? Fear not! MLBlogs is powered by WordPress.com, who provide bloggers with all the tools you need to make your comments a troll-free zone. A first layer of defense comes from WordPress.com’s spam filter. Should any spam messages make it through, you can mark them as spam to remove them from your visible comments and add them to the spam filter. Additionally, every blogger has the ability via your blog dashboard to customize comment approval under Settings > Discussion. You can open things up and automatically publish all comments in real time, require all comments to be approved by you before they appear on your blog, or choose from a wide variety of customizable options in between. Should you encounter an unwelcome commenter, you can blacklist both by email address and IP address — preventing them from returning to the blog under a new account. Make sure to mark posts as “Spam” as that helps our system learn and catch similar spam posts better in the future. Finally, consider is closing comments for old posts; WordPress can do this automatticially after a certain number days, under Settings > Discussion. As always, WordPress.com’s Support section is a great resource. Here’s a link to their support page on this topic for more information. Conversion to WordPress is under way! First and foremost, you’re going to love using the WordPress dashboard and top blogging tools. 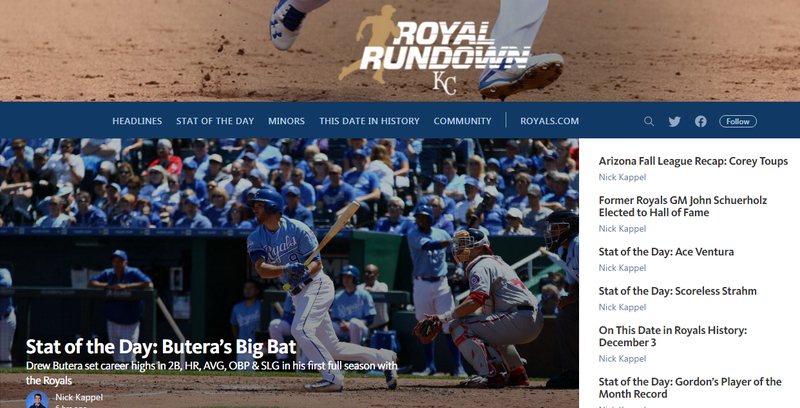 So please pardon the dust while we (a) bring something very cool to MLB.com’s blog community and (b) bring our MLB themes to the entire WordPress population! The switch began at 10:30 a.m. ET on Friday, as previously communicated, and you will not be able to access blog software nor view your blog until the conversion is complete. We are projecting 5 p.m. ET on Monday (May 16) for service restoration and will provide any updates on timing here. Anyone trying to access your fan MLBlog during that downtime will see an “Under Construction” page and will be referred to this community blog. I will respond here to comments throughout the downtime and update this post as needed along the way. Everyone will receive a WordPress Activation Email that will contain very important details on how to access your new WordPress dashboard, and WordPress is going to email the address that is currently associated with your MLBlog. All users were asked to update that email. If you have trouble receiving your activation or account information emails please check your spam/junk email box. If you have an option to unblock specific email addresses, try allowing *@wordpress.com (all emails from the domain) and/or no-reply@wordpress.com anddonotreply@wordpress.com addresses. If you did not heed our warnings to publish any unpublished drafts before the downtime, then those unpublished drafts will be vapor when you get your new WordPress blog. There is no exception. If you get the urge to write during this downtime, write it in a text editor like Notepad (PC) or TextEdit (Mac) and save it to copy and paste into your new blog when the next system is targeted to be online on May 16. If you post every day and are worried this ends your streak, no problem, just backdate your posts and publish them once we’re all live on WordPress. If you encounter any missing content after the final conversion, it should show up shortly afterward. Please note that your old profile pic from Movable Type will not convert to WordPress. You’ll want to get to know your Gravatar options. Way cooler as with everything there. PRO MLBlogs are not affected. Those were migrated over as a test last month to ensure that the mass of fan blogs are converted as smoothly as possible. The community blog will respond as needed to comments on that blog during this outage weekend and will let you know when the final changes are completed, signaling your return to blogging in a brand-new way using the latest blogging software from our WordPress friends. As always, this community blog also will be a help resource on any issues that are representative of a collective need, but this will not be a technical-support blog. You are going to have access to the three types of themes you’re used to (per MLB and Club), plus the impressive volume of WordPress themes. In turn, this is going to drastically expand this community, because hundreds of thousands of WordPress bloggers will have access for the first time to MLB themes. We’re also gaining the capability to add a wide variety of widgets to the blog sidebar, as well as complete customization capability for the sidebar. Fun is coming. Your blog’s URL will remain the same, for example http://tommy.mlblogs.com and not http://tommy.wordpress.com … and did you know that Tommy Lasorda posted the first-ever MLBlog? He’s going strong and now using WordPress. Once you have received the activation email from WordPress, we recommend bookmarking your WordPress dashboard at that point to save time and logging in there. You also will be able to log in from a link at http://MLB.com/blogs or simply WordPress.com. We appreciate your patience as we begin the process of converting thousands of Major League Baseball fan MLBlogs from Movable Type to WordPress! Starting at 10 a.m. ET this morning (Friday, May 13), your blog will not be available for updating nor will it be visible to the public. We tentatively expect the process to be completed by 5 PM ET ON MONDAY (May 16). Anyone trying to access your blog during that downtime will see an “Under Construction” page and will be referred to this community blog — where we will continue responding to comments and keep you updated on progress. EMAIL UPDATING. Make sure a current and reachable email address is in the profile of your MLB.com registration account. Everyone will receive a WordPress Activation Email that will contain very important details on how to access your new WordPress dashboard, and WordPress is going to email the address that is currently associated with your MLBlog. This means if you created an MLB.com account (and thus your blog) using a dummy email that has no inbox, or if you never check that email you used to create an MLBlog a long time ago, you will not be able to receive the Activation Email and won’t be able to access your converted blog on WordPress. It’s easy to log into your MLB.com account on top of the MLB.com homepage and edit the email address to include one that has an active inbox that you will be checking after this transition is done. * NOW IS THE TIME TO DO THIS * as it will not be possible after we return from the weekend downtime. PUBLISH ANY DRAFTS OR LOSE ‘EM. All content from your current blog should show up just fine after the migration. Exception: blog posts with a draft/unpublished status WILL NOT be converted, so you either need to save those elsewhere or publish them by Friday afternoon if you want them to be in your dashboard going forward. If not, they will be lost, with no exception. If you encounter any missing content after the final conversion, it should show up shortly afterward. Plan on not having access to your blogs and dashboards after 10 a.m. ET today (Friday, 5/13/11). If you get the urge to write during this downtime, write it in a text editor like Notepad (PC) or TextEdit (Mac) and save it to copy and paste into your new blog when the next system is targeted to be online on May 16. If you post every day and are worried this ends your streak, no problem, just backdate your posts and publish them once we’re all live on WordPress. As always, this community blog also will be a help resource on any issues that are representative of a collective need, but it will not be a technical-support blog. THEMES AND WIDGETS: You are going to have access to the three types of themes you’re used to (per MLB and Club), plus the impressive volume of WordPress themes. In turn, this is going to drastically expand this community, because hundreds of thousands of WordPress bloggers will have access for the first time to MLB themes. We’re also gaining the capability to add a wide variety of widgets to the blog sidebar, as well as complete customization capability for the sidebar. Fun is coming. LOGIN: Once you have received the activation email from WordPress, we recommend bookmarking your WordPress dashboard at that point to save time and logging in there. You also will be able to log in from http://MLB.com/blogs or simply WordPress.com. – Make sure the email address you are using for your blog is updated to one that you can access and that can receive email. Crucial. – Publish all draft/unpublished blog posts or copy and paste the text into a text editor. None of this applies to those members of the MLB family who maintain the MLB PRO BLOG theme. Their blogs already have been converted to WordPress as a successful first step toward the full migration. All of our blogs will be migrated from Movable Type to WordPress tentatively starting on Friday, May 13, with expected completion late Monday, May 16. That was just pushed back a week from May 6-9 to allow more time for a smooth conversion for fans. DOWNTIME: You will not be able to access your blog software or view your blog during that scheduled May 13-16 service outage. Anyone attempting to access your blog then will be redirected to this community blog, which will keep you updated on the status. I will respond as needed to comments here during that weekend and let you know when the final changes are completed, signaling your return to blogging in a brand-new way using the latest WordPress blogging software. Plan on not having access to your blogs and dashboards after the afternoon of the 13th, with exact times to come. If you get the urge to write during this downtime, write it in a text editor like Notepad (PC) or TextEdit (Mac) and save it to copy and paste into your blog when the next system is online on May 16. EMAIL UPDATING: It is imperative that you take the opportunity in the meantime to make sure a current and reachable email address is in the profile of your MLB.com registration account. Everyone will receive a WordPress activation email that will contain very important details on how to access your new WordPress dashboard, and WordPress is going to email the address that is currently associated with your MLBlog. This means if you created an MLB.com account (and thus your blog) using a dummy email that has no inbox, or if you never check that email you used to create an MLBlog a long time ago, you will not be able to receive the activation email and won’t be able to access your converted blog on WordPress. It’s easy to log into your MLB.com account on top of the MLB.com homepage and edit the email to include one that has an active inbox that you will be checking after this transition is done. Having already migrated over hundreds of the PRO blogs authored by members of the MLB family, trust me that this has overwhelmingly been the main problem area. Avoid that issue at all costs so you don’t lose a lot more important blogging time after the downtime. NOW IS THE TIME TO DO THIS as it will not be possible after we return from the weekend downtime. CONTENT: All content from your current blog should show up just fine after the migration. Exception: blog posts with a draft/unpublished status WILL NOT be converted, so you either need to save those elsewhere or publish them before the service outage if you want them to be in your dashboard going forward. If not, they will be lost. We are spending the days leading up to the full migration constantly testing and looking for bugs. If you encounter any missing content after the final conversion, it should show up shortly thereafter. SUPPORT: Once the conversion to WordPress has been completed, all Blog Support will be handled by the very capable WordPress support team — not MLB.com customer service or any other source. DO NOT contact MLB.com customer service about blog issues. WordPress has extensive support documentation and can be contacted directly. As always, this community blog also will be a help resource on any issues that are representative of a collective need, but this will not be a technical-support blog. The next update with more specific times and any further news will come shortly, and feel free to post any comments here in the meantime. 1. Make sure the email address you are using for your blog is updated to one that you can access and that can receive email. Crucial. 2. Publish all draft/unpublished blog posts or copy and paste the text into a text editor. We’ll post the April Latest Leaders at a delayed date once the conversion is finished and sure everything is going smoothly. And on another note, we’ve changed the name of this from “MLBlogosphere” to “MLB.com Blogs Central” – same blog, new title. Thanks.